Marie Rose Dufour: What do you look for in a book review? What do you look for in a book review? I'm part of the "What do you look for in a book review" blog hop. So here it is, what DO you look for in a book review? As with most writers, I'm a reader first. Honestly, the first thing that catches my eye is the cover of the book. Does that seem shallow? Maybe, but they are there for a reason. As a writer, trust me, a bad cover and totally break a good book. Then if the cover has caught my attention, then I'll read the blurb. After that, I go for the reviews. What I look for as a reader, is a well written review that gives an honest opinion about the book. When I say honest, I mean "just the facts ma'am". What did you like about the book? What didn't you like about the book? Let's face it, not everything that I read I like. There have been times when I have chosen badly or simply not like what I've read. First thing, I do remember is that I did choose to read the book. So something originally caught my eye in the first place. Honestly also doesn't mean "flame job". The minute I see a scathing review, the reviewer totally loses credibility in my mind. You didn't like the book, we get it but why? The reviewer doesn't have to paint the author as the next Jack the Ripper of literature. Your trash is another person's treasure. You never know. Author's do read reviews and sometimes they hurt. A good review though tells you what your readers want and writers do listen if it's said enough. I usually write novellas. They are short stories. If people do buy one of my books, they are labeled that way. Feedback I usually get it that the books are too short. Most of the time, it's a compliment because the readers are not willing to give up the characters just yet and want more from them. Sometimes, it's not but I do listen. My next book, while taking me forever to write will be much, much longer, probably over 50K. So we will see what happens. 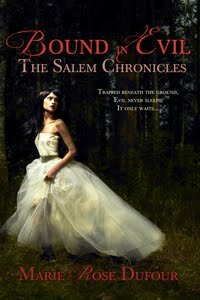 I might get a review that says Bound in Evil is too long winded and has a lot of background information. Most importantly if it's reviewed, I want an honest opinion. An opinion you wouldn't mind sharing to my face instead of a computer. If you could tell it to my face that's the type of review I'd want to hear. 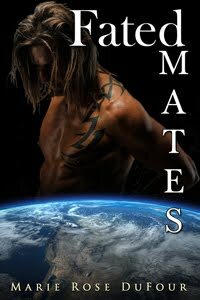 Please leave a comment and an email address for a chance to read (and review, LOL) one of my books. Very well said. I like tactfully-put honesty in a review too! I like it when a reviewer says both what they do like and what they don't like with examples to support their viewpoint. That way, a person reading the review can decide whether they want to read the story too from the other person's words. Well said, Marie. I also agree with Linda - examples help readers decide whether the elements that were important to the reviewer are also important to a particular reader. Enoyed the post, thank you. I agree - I've actually gone down the same road today, that honesty is vital. I know we won't always like the same books but it's great to know that a book has elicited a response in someone, be it good or bad. I like short reviews. I appreciate it when reviewers tell me about formatting issues in the electronic editions. That's my pet peeve! I'm following you, thanks! Honesty seems to be the magic work today. Thanks I agree with Fiction Playground about formatting issues. I'm one of those reviewers who tries to be honest when I explain why I liked something as well. I'm very open minded - and can ignore many configurations of relationships (for example) that others would find problematic - so I will notate those. If I find formatting issues - I try to get right to the author to let them know, where, what page, etc. ; that makes it easier for them to find the issues. Then there are the bits I don't like, or have problems with. I also try to be specific - and specify what bothered me - some things are simple: repeated misuse of words or misspelling, overuse of a "catch phrase"; but WHY it bothered me is also really important, if it's my own obsession (and we all have them) I know when I'm focusing too much. If it disrupted the flow, made me go back and reread for context, try to see what brought me there - that is something that needs to me marked as well. And - I do keep in mind that it was my choice - and I do try (honestly try) to like every book I read. Kick her to the curb?